As you all know, the Google Maps Navigation and Google Maps Navigation Night Version mods use the original Euro Truck Simulator 2 map data. Therefore, it does not work properly with map mods. I've only released special versions to ProMods map mod. I could not ignore the wishes of people using other map mods. Finally, I have prepared special addons for other map mods. You can now use Google Maps Navigation and Google Maps Navigation Night Version mods with the desired map mod.  You can download the desired addon(s) from this page with a single click. Map mods: EAA Map, Hungary Map, Mario Map, North Map, PJ Indo Map, Project Japan, Romania Map, RusMap, Russian Open Spaces, Southern Region Map, The Great Steppe, Truck Sim Map and YKS Team EU Turkey Map. Important Reminder: These are just addons. They do not work without the original versions of the Google Maps Navigation & Google Maps Navigation Night Version mods. WARNING: YOU CAN NOT USE THESE ADDONS IN OTHER SITES, GAMES OR MODS! USE ONLY THE THIS POST LINK WHEN SHARING! v 3.0 Update Released! Click for details! These addons allows to use Google Maps Navigation & Google Maps Navigation Night Version with the EAA map mod. Compatible with EAA Map 5.0.2 version. DON'T FORGET! It's just an addon! This addon will not work without the original Google Maps Navigation & Google Maps Navigation Night Version mod. 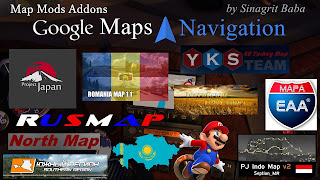 These addons allows to use Google Maps Navigation & Google Maps Navigation Night Version with the Hungary Map mod. Compatible with Hungary Map 0.9.28.a version. These addons allows to use Google Maps Navigation & Google Maps Navigation Night Version with the Mario Map mod. Compatible with Mario Map 12.8 version. These addons allows to use Google Maps Navigation & Google Maps Navigation Night Version with the North Map mod. Compatible with North Map 1.5 version. These addons allows to use Google Maps Navigation & Google Maps Navigation Night Version with the PJ Indo Map mod. Compatible with PJ Indo Map 2.5 version. These addons allows to use Google Maps Navigation & Google Maps Navigation Night Version with the Project Japan map mod. Compatible with Project Japan 0.1 patch 3 version. These addons allows to use Google Maps Navigation & Google Maps Navigation Night Version with the Romania Map mod. Compatible with Romania Map 1.1 version. These addons allows to use Google Maps Navigation & Google Maps Navigation Night Version with the RusMap mod. Compatible with RusMap 1.8.1 version. These addons allows to use Google Maps Navigation & Google Maps Navigation Night Version with the Russian Open Spaces map mod. Compatible with Russian Open Spaces 7.0 version. These addons allows to use Google Maps Navigation & Google Maps Navigation Night Version with the Southern Region Map mod. Compatible with Southern Region Map 7.2.5 version. These addons allows to use Google Maps Navigation & Google Maps Navigation Night Version with the The Great Steppe map mod. Compatible with The Great Steppe 1.2 version. These addons allows to use Google Maps Navigation & Google Maps Navigation Night Version with the Truck Sim Map mod. Compatible with Truck Sim Map 6.6.2 version. These addons allows to use Google Maps Navigation & Google Maps Navigation Night Version with the YKS Team EU Turkey Map mod. Compatible with YKS Team EU Turkey Map 1.32 version.